Dr. Jenn Kirby is an Irish composer, performer, software developer and academic based in Swansea. Her work ranges from instrumental composition, to electroacoustic, to laptop orchestra and the performance of live electronics. Jenn's work explores elements of theatre, humour and subversion. Jenn works as the Programme Director for Music Performance and Production at the University of Wales Trinity Saint David, where she teaches composition and music technology. Jenn writes for instrumental and electroacoustic forces. However, much of her work is focused on the performance of electronic music. The output from which includes the foundation of the Swansea Laptop Orchestra and the creation of software for new music performance, and the re-purposing of controllers and interfaces as musical performance instruments. 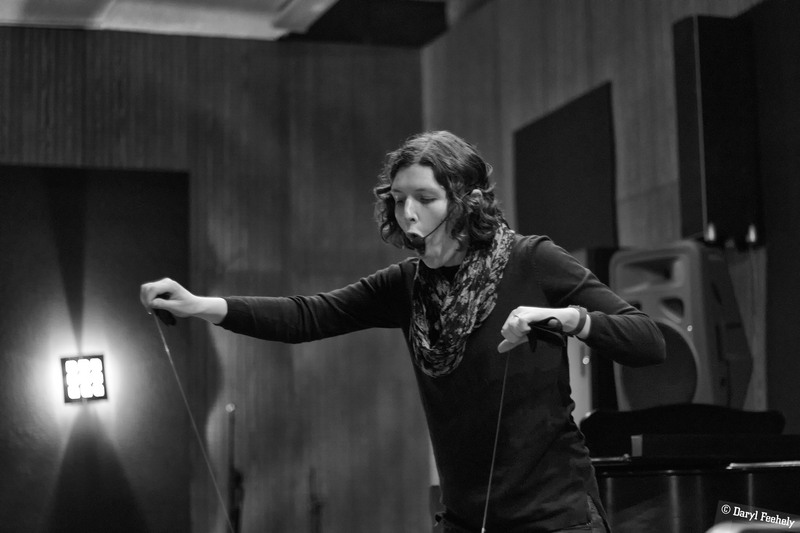 Jenn is also an active performer in solo live-electronics. Her music has been performed in Ireland, the United Kingdom, Austria, the Netherlands, Germany, Italy, Poland, Canada, the United States and Mexico.